Interested in volunteering and giving back to the industry? 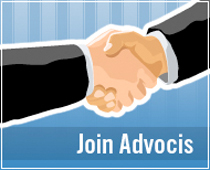 Advocis Vancouver is currently looking to fill the role of Program Chair. What does the Program Chair do you ask? Earlier this year we reached out via survey to ask for your feedback on our local chapter in an effort to continue to build our connection and relationship with membership, and to understand what you like currently, what needs improvement or what you would like to see from Advocis Greater Vancouver. Back in February I had the privilege of attending a sold-out Advocis Vancouver Ladies’ Luncheon at the Vancouver Club. This was the first ladies focused seminar hosted by Advocis.